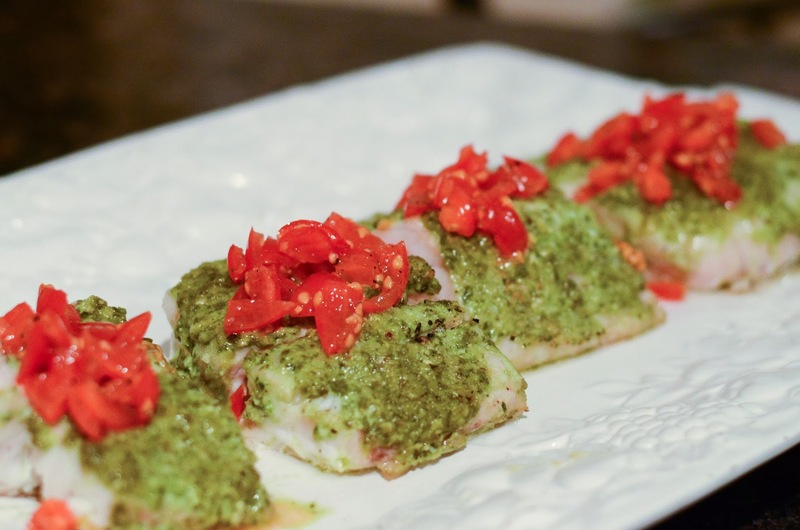 An easy but really good fish recipe can be hard to find. This one can be done in a matter of minutes but is fancy enough for guests. You can use a jar of pesto you have in the fridge, but of course homemade pesto is always the best. 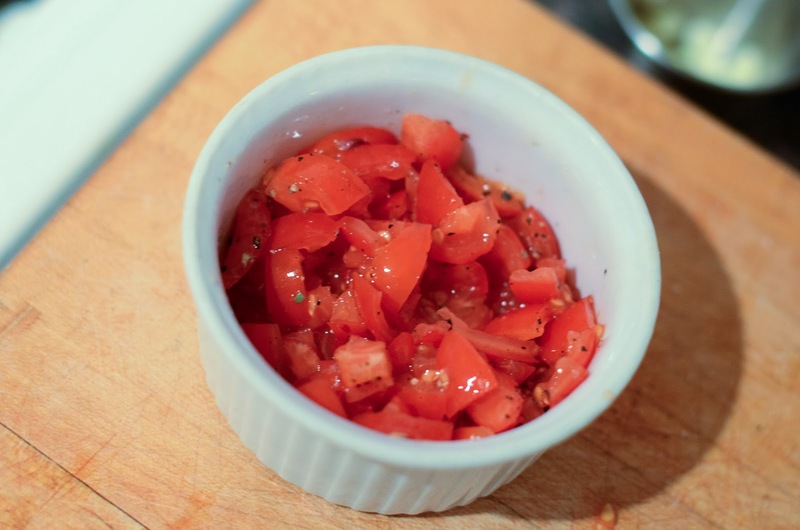 You can garnish with a sweet pepper relish or olive-oil tossed tomatoes as pictured above. The red and green color contrast is quite stunning on a platter. Not sure where to get fresh Corvina Sea Bass? My favorite spot is ordering from Chef's Fresh Fish.com. Preheat the oven to 400 degrees. 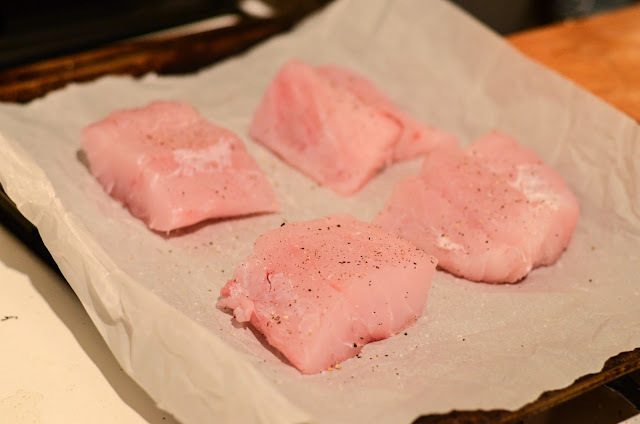 Cut the sea bass fillet(s) into 5-6 ounce portions and place each on a parchment paper lined baking sheet. Sprinkle with salt and pepper. 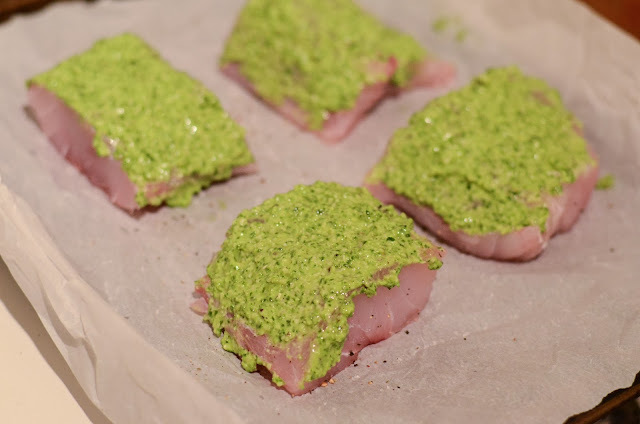 Spoon 1-2 Tablespoons of pesto on each sea bass portion. 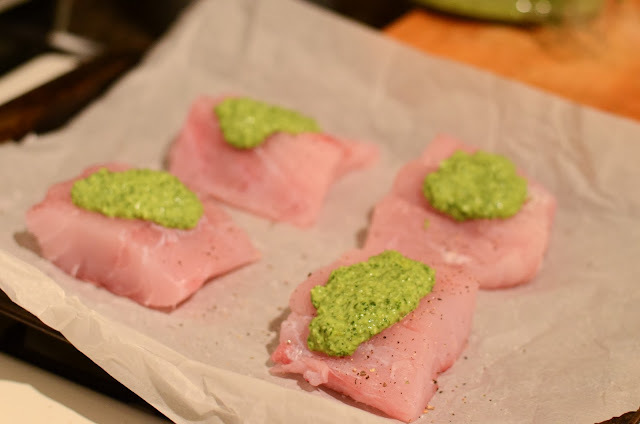 With the back of the spoon, evenly spread the pesto over the fish. Bake the fish for about 15 minutes (10 minutes per 1 inch thickness) at 400 degrees or until the fish flakes and is cooked through. 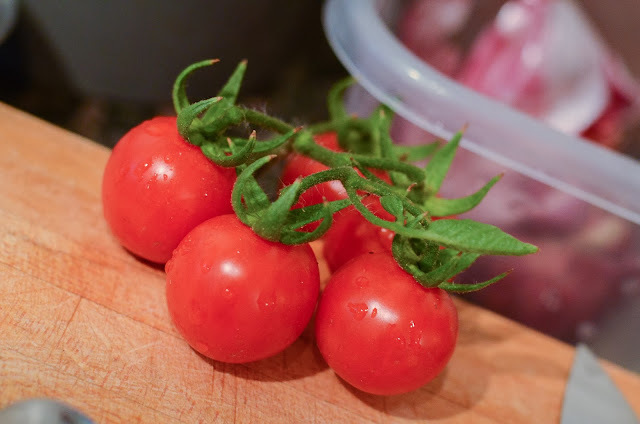 While the fish is baking, chop the tomatoes, drizzle with 1 Tbsp olive oil and sprinkle with salt and pepper. When the fish is done, garnish with tomatoes and serve immediately. Enjoy!